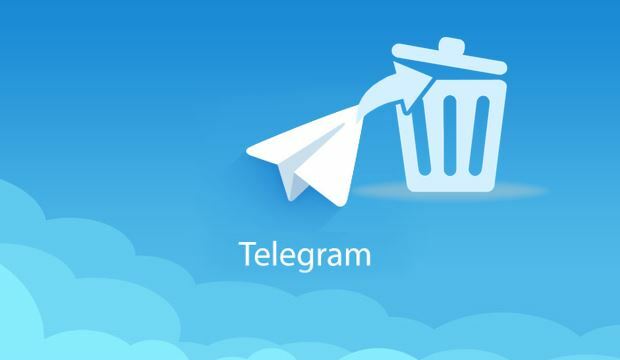 Tutorial to know how to delete telegram account permanently, it is very simple just follow the steps given in this article and you can easily delete your Telegram Account from Android and iOS devices. The Telegram is a messaging app just like WhatsApp but you can’t Delete Account in Telegram directly from the Android or iOS app and you need to use the browser. You can deactivate your Telegram account either from the Desktop or Mobile browser. 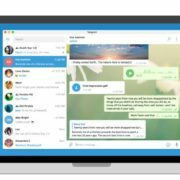 The beauty of Telegram app is, it is not only working on the mobile operating system, like Android devices, iPhone or other iOS devices including Windows Mobile but also available natively for Window/MacOS/Linux PC including telegram web messenger version. 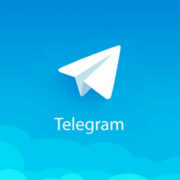 Now, why one should use the Telegram, no doubt it is secure but it also provides the ability to create Telegram groups of up to 100000 members, Destruct system which deletes your messages with a timer, message synchronization with all devices and more. How do I delete the account from telegram? Enter Telegram associated Phone number. Confirmation code sends to your Telegram account. Click on Deactivate account option. Under Delete your account option click on Done. Click on Yes, delete my account button. Your Telegram account will be deleted successfully. 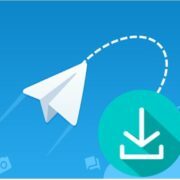 Tutorial Step by Step Guide to delete Telegram account along screenshots. 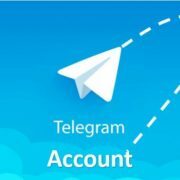 Step 1: Either from your smartphone or Desktop browser open the Telegram account deactivation page, here is the Link- https://my.telegram.org/auth?to=deactivate because Telegram does not allow to delete the account from the Telegram app. 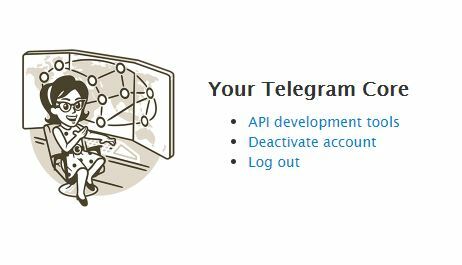 Step 2: When you on the Telegram deactivate page, you need to log in your Telegram account in order manage apps using Telegram API or deactivate your account. 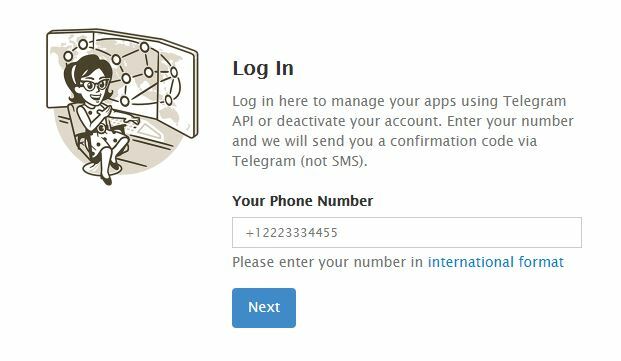 Just enter your phone number which is registered with the Telegram in the box “Your Phone number” with your country code, for example, the +1 is for the US and +91 for India. After providing the Phone number hit the NEXT button. Step 3: Once you press the NEXT button in the above step, a confirmation link will be sent to your Telegram account. 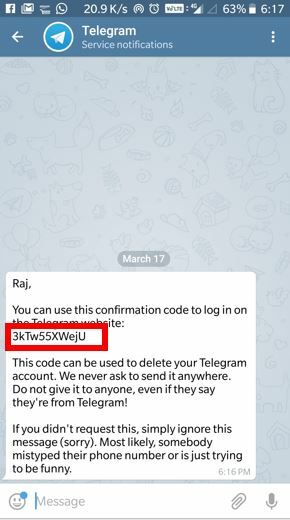 Open your Telegram app or Web version to copy the received code in order to Login. Step 4: I assume that you got the code and copied that too, now enter it in the Confirmation code box given on the Telegram Login page. Please see the screenshot. Click on the Deactivate account link. 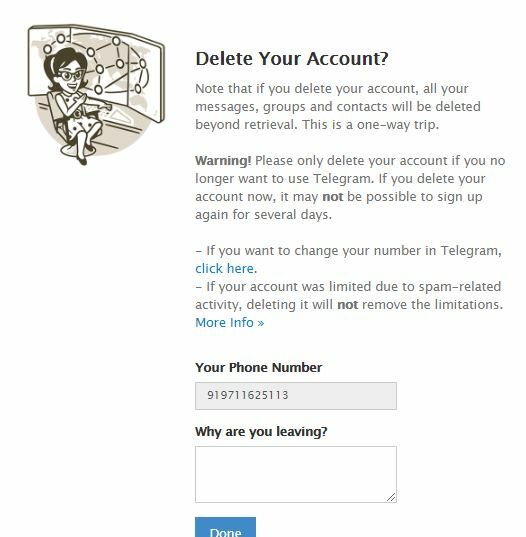 Step 6: The Telegram will give a confirmation message that shows that if you delete your account, all your groups, messages and contacts will be deleted beyond retrieval this means they will never come back. If you sure just click the Done button. Also, if you think you don’t want to delete your telegram account and need to change the Telegram phone number then use the Click here Link, given thereon deactivation page of yours, in this way you can save you Telegram chats and messages too. Step 7: The Telegram again warn you and ask for your surety. If you are sure then hit the red color button with a text “Yes, delete my account“. 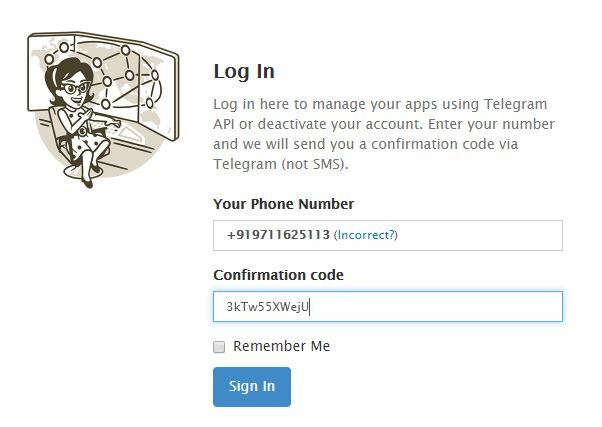 Step 8: The above step will delete your Telegram account and a confirmation message” Your account was successfully deleted from our system. Come back soon.” will show on your screen. I hope this howto tutorial help you somehow. If you have any confusion, the comment box is all yours!! The deactivation link you gave doesn’t work and also telegram.org doesn’t work . I don’t like self-destruction option . My account has been hacked what to do? I assume you still have the access to your account; Deactivate your account. Again signup with the same number and this time enable the Two-factor authentication.